Andy said: “In the first incident, one of our computers was stolen and with a £1500 value plus the time and work lost, spending money on a security camera seemed like a no-brainer. While sitting at home one evening, Andy received an alert from his camera to notify him that there was motion in the office. When he logged onto the HomeMonitor app, he saw a burglary live in progress, with an unidentified person having broken in to his premises and in the process of stealing his valuable equipment. Andy immediately dialled 999 and informed the police of the situation; within 90 seconds, the police force and dog units were on site and closing in. Andy watched as officers entered his premises and apprehended the suspect red-handed, taking him into custody. Andy was able to log in to HomeMonitor and provide the police with full copies of the video showing the intruder in his offices, helping the police charge the burglar that day. The police later found out that the suspect was also responsible for the previous break-in, as well as another burglary in the area and was subsequently sentenced in Crown Court to a two-year custodial sentence. According to Andy, he is almost certain that the criminal would have made away with several expensive desktop computers which would have proved costly to replace, not to mention the loss of business time and valuable data and the hassle of claiming through insurance. 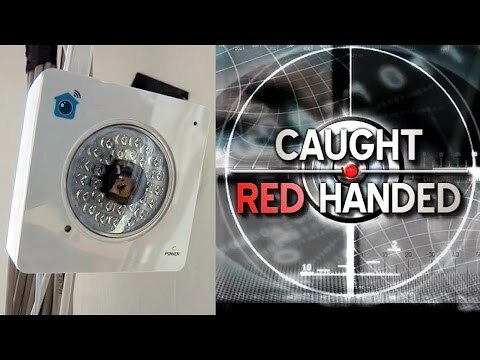 Andy’s story was also featured on the BBC One programme “Caught Red Handed”. Has HomeMonitor changed your life? Let us know below!